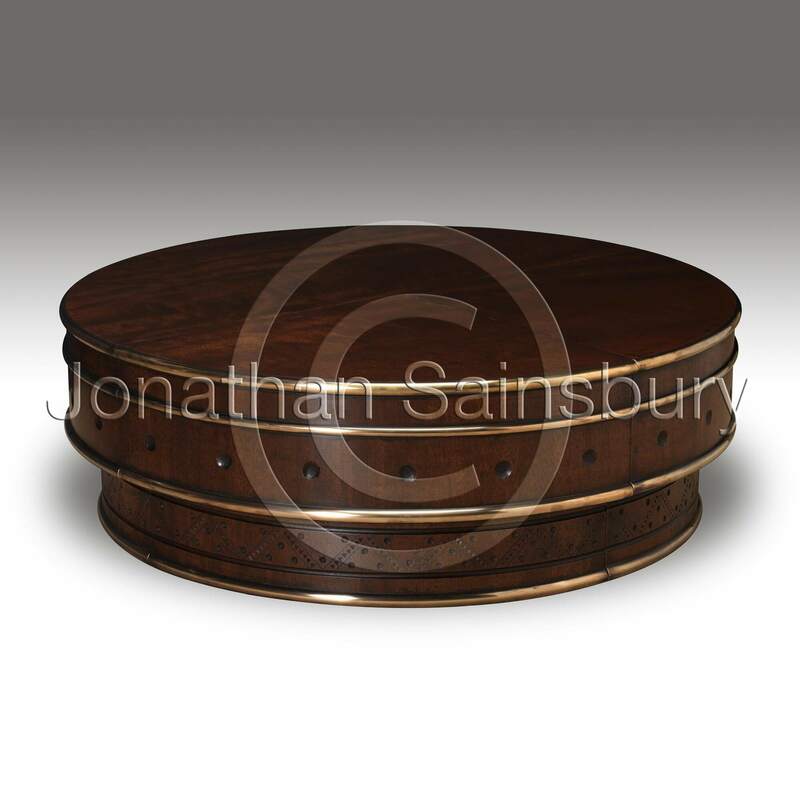 A circular metamorphic coffee table constructed in teak with cast brass ring bands. The carvings emulate early aboriginal carvings. 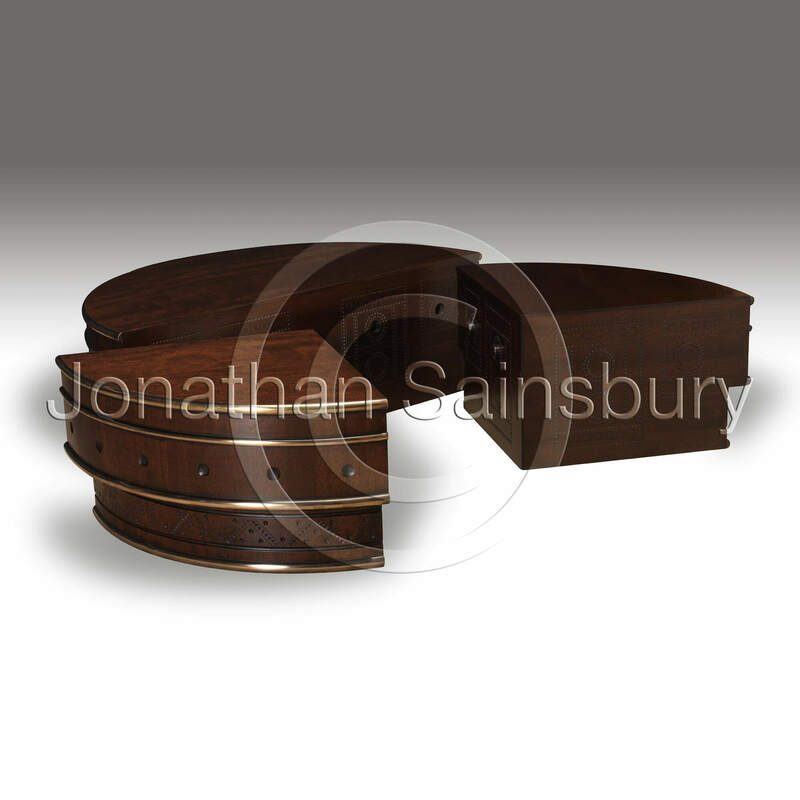 The table breaks into three sections for individual use if required. Commissioned for a house in Sydney.